North Holland Safety Region is the top winner of the Dutch Business Intelligence Award 2015 and was nominated as the Smartest Organization of the Netherlands. The organization is a great example through the use of smart data combinations and interactive dashboards in reducing acute heart attack care processing time by up to 20 minutes. Data-driven improvements with major human and social impact, which are appreciated both by the Jury and the public. The winner of the Dutch Business Intelligence Award also won the Public Award, leaving Rituals Cosmetics and Tempo-Team behind. The 9th edition of the award took place during the annual conference “Intelligence at the Speed of Business”, an initiative by Passionned Group, the intelligent organization experts. Martin Smeekes, the director of Emergency Care of the NHN Safety Region, in collaboration with a team of cardiologists from Alkmaar Medical Center, the emergency unit, and ambulance care teams developed a smart dashboard where data from different sources comes together for analysis and visualization. This generated huge time savings in heart attack emergency care. The Safety Region also sees more opportunities for the future: “The dashboard we developed can be applied to other urgent care departments, such as obstetrics or stroke. We hope that our project will also be valuable hereby,” said Smeekes. “The jury was impressed by the quality demonstrated by the three finalists. All of them clearly showed how business intelligence helped them to make their organizations smarter. In the case of the NHN Safety Region, the Jury was particularly impressed by the cohesion with which the interests of the organization, public, employees, and citizens was interconnected thanks to the smart use of available data. The Jury also praised the innovative nature of the developed dashboard and underlying analysis”, said the Jury’s Chairman Menno Lanting. “An organization that demonstrably uses data to save lives deserves the title of the Smartest Organization of the Netherlands. This is particularly notable since the government’s standard for emergency care is 120 minutes, which the NHN Safety Region considered to be insufficient. 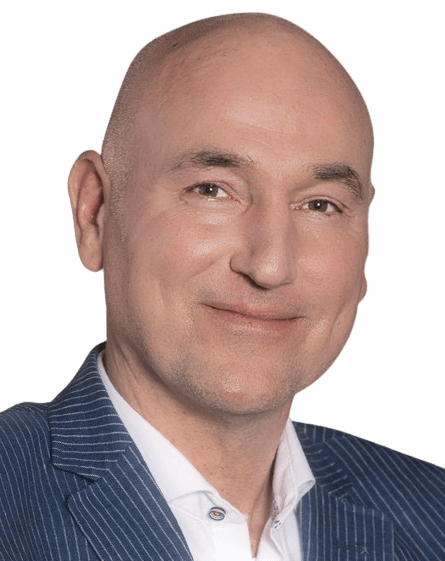 This should be better and, within a relatively short time, they actually managed to reduce the time to 20 minutes under the standard”, responds Daan van Beek, Passionned Group’s Managing Director and the author of the successful Business Intelligence book “The Intelligent Organization”. The keynotes and panel discussion at the “Intelligence at the Speed of Business” annual conference gave the 250 guests enough food for thought on business intelligence and the profit yet to be achieved. Hendrik Blokhius, Cisco’s CTO, explained why it is so important for children to learn programming: ultimately, today’s and future infrastructure is in their hands. He also thinks that Business Intelligence is something that just has to be done; immediately start a pilot instead of a business case. And Jan van Ginkel, the town clerk of Schiedam, showed that a municipality can manage perfectly well without a city hall. He illustrated this with the municipality of Molenwaard, which has many satisfied citizens thanks to the introduction of a digital town hall. The Jury selected the twelve best cases out of 59 total applicants. These twelve organizations were asked to describe how intelligently their organizations operate. As a result, six applicants were invited to an interview with the subsequent selection of three final nominees. In 2004, Harry Starren (former Director of de Baak Management Center) got together with André de Waal (associate professor at the Maastricht School of Management), Mr. Leo Kerklaan (Organizational consultant) and Daan van Beek. They found that the smarter use of data and the smarter collaboration as a cooperative consistently helped achieve better results. It is important that not only the handful of managers is in charge, but the whole organization thinks along and participates in the process. The first set of criteria has since been refined, and, over the years, many organizations have started competing with each other. Recent winners, Coolblue (2012) and the Amsterdam Fire Department (2013), have shown that the correct data culture not only makes a company outstanding but also can be life saving. We love to help you getting started with the winner of the 2015 smartest organization award.